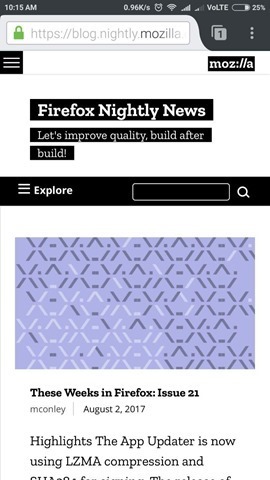 Mozilla has updated Firefox for Android’s Nightly version, to introduce Photon UI for the mobile browser. The new interface a screenshot of which was Tweeted by Mozilla, was already available for the desktop’s nightly version, is an upgrade over the Australis interface, which to be honest was very dated. The changes are noticeable in three areas of the interface. 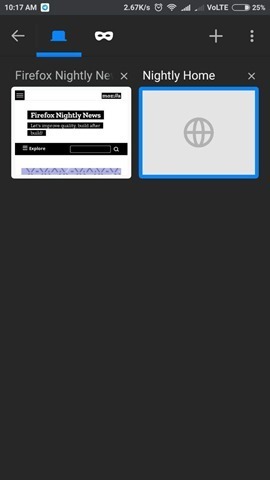 Photon UI brings a new tab design which is rectangular, instead of the old curved tabs. 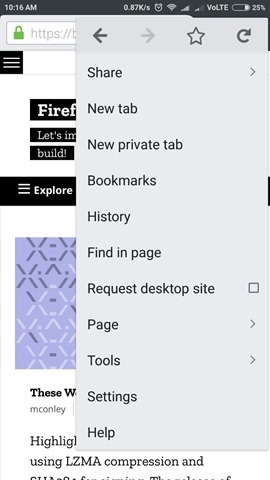 The address bar is minimalistic, and the menu options in the Android version is almost identical to Chrome. 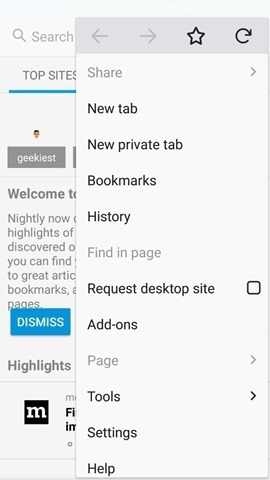 The highlights screen aka the new tab screen now has a blue line on each section instead of the orange lines. To be honest the Photon UI does look great, but not as good as the desktop version. 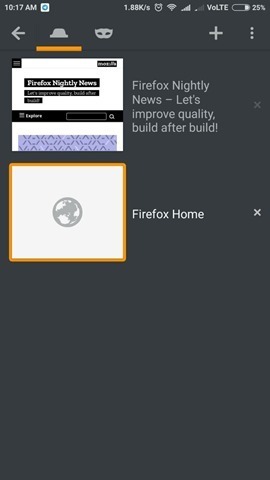 For some reason, the Android notification bar disappeared on my Redmi Note 3 when using Firefox Nightly. So, there are clearly issues which need to be addressed. But that shouldn’t be a problem, but we have a plenty of time before the stable version lands. 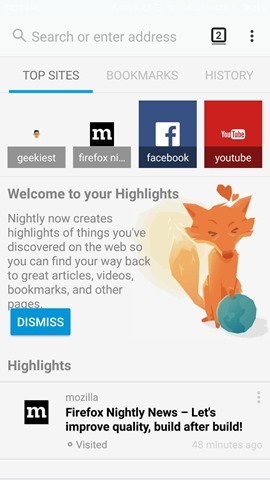 If you want you can download the ngightlt version of Firefox from the Google Play Store. 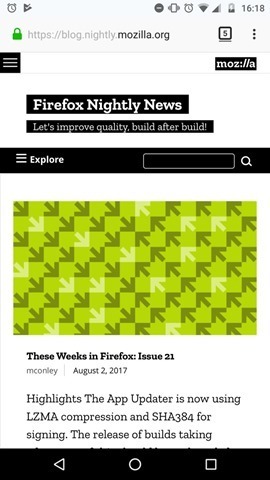 Mozilla has scheduled to release the Firefox 57 update with the Photon UI and WebExtensions, at the end of this year for desktops. And it should arrive for mobile devices at about the same time.